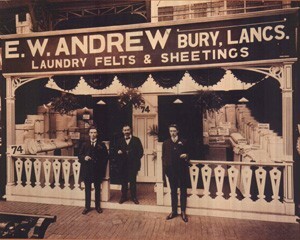 Filterfab is part of the Andrews Group of companies which was founded in 1894. For more than 100 years the core aim of the company remains committed to the research, development and manufacture of industrial textiles for the laundry and associated industries. We are the Worlds oldest laundry felt manufacturer. Filterfab covers the whole of Australia and New Zealand and has recently expanded into providing a unique number of healthcare products.